Just over a year ago, Judy Scheck, wife of Founder and Chairman Richard N. Scheck, read an article in the newspaper about a housing program for veterans. Within minutes, she was convinced this was a project in which she wanted to be involved. 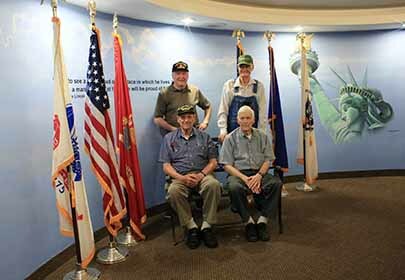 Concord Place, an assisted living facility in Northlake, Illinois, was teaming up with Kendall County to Salute Veterans and The Walter and Connie Payton Foundation. As part of the veteran’s housing program, the three organizations were combining efforts to offer a modified rent schedule to the men and women who served in one of our country’s military branches. Judy recognized an opportunity to leverage her generosity and her family’s network of friends to help this program succeed. But she was interested in more than just helping with the cost of rent; she was focused on providing a more tangible reality. As part of the project, Concord Place committed to renovating an entire floor within the facility for veterans. Those affiliated with Hines VA, and who are 55 or older, qualify for the program. Residents receive transportation to and from the hospital, if required, and assistance with medication. 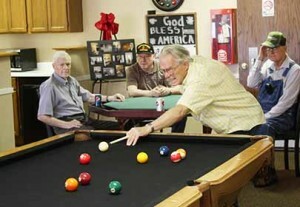 The assisted living facility even agreed to renovate an additional floor if the first one was completed by donations. Each room renovation would cost $2,500, which included a new bed, recliner, a dresser, a flat screen TV and a walk-in shower. After months of phone calls, letters, and personal asks, Judy secured funding for 13 rooms, totaling $32,500. Friends of the family including William Hite, general president of United Association, Jim Buchanan, business manager for Pipefitters Local 597, Jeff Tobolski, Cook County Commissioner, and Joe Rizza of Rizza Ford and many others all pitched in to help. “We even had a motorcycle group bring in supplies. Some of our partners are still involved with the project. The veterans also have a lounge, complete with a big screen television, microwave and pool table,” Judy explains proudly. “It made me feel good to get homeless veterans off the streets. Knowing we have helped other human beings – especially those who have served our country – is important. We’ve provided them with comfort, food and a nice place to stay,” she says.